As one could imagine, the process of constructing an aircraft requires hundreds of different individuals with a number of different and very explicit skills to see the process from start to finish. From engineers, who design, inspect and perfect the aircraft, to the dozens of mechanics that construct the plane, finding these individuals is quite a difficult undertaking. 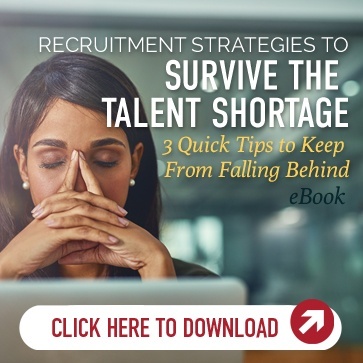 And when changes in market forces can alter hiring needs up or down at a moment’s notice, staffing team scalability - something internal recruitment teams can’t easily do is vital. For an ongoing job of this size, Yoh installed a Recruitment Process Outsourcing (RPO) team to handle the immense undertaking. With a small group, Yoh sources, procures, hires and onboards up to 200 individuals or more per month. 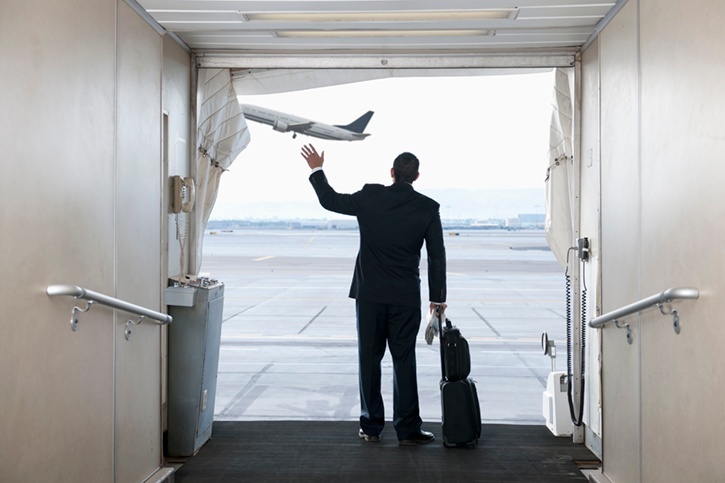 And with the specific skills needed in many of these roles, Yoh employs experts who have specialized knowledge in each aspect of the aviation industry to ensure the best people are hired with the right skills for the job. Not only did Yoh drastically improve on past processes, but Yoh experts identified pain points the client didn’t even know it had and made an already smooth process even more efficient. Over time, Yoh improved hiring efficiency by more than 115 percent, bringing greater value to the client and cost savings, too. Yoh also took charge of the client’s co-op program, one of the largest in the world, and now sources and hires up to 1,200 college students per year. “With great power comes great responsibility.” But what comes with great responsibility? For Yoh, it turns out that with great responsibility comes an even greater responsibility. The construction of aircraft engines is a tremendously complex process that requires a significant amount of skill. From the engineers designing and overseeing its construction, to the mechanics in charge of putting everything together, there is a tremendous amount of responsibility on the shoulders of these folks. Make a mistake or miscalculation and every passenger is at risk. So imagine being responsible for hiring these individuals who hold so much responsibility themselves. Hire an unqualified engineer, and the integrity of the entire engine is in jeopardy. Find a less-than-skilled A&P mechanic, and an improper maneuver or technical decision can cause significant and potentially catastrophic issues down the line. The people in charge of hiring the highly skilled talent that constructs an aircraft must be highly skilled themselves, knowing where to find candidates with the right skills, the right qualifications and the right experience to get the job done right. That’s why when one multinational conglomerate was in need of a team that could handle every aspect of hiring for its world-renowned aviation division, it called on the experts at Yoh, who installed a Recruitment Process Outsourcing (RPO) program to recruit, hire and onboard up to 200 individuals or more per month. A little known fact about constructing an aircraft engine is that putting this powerful behemoth together is rarely, if ever, all done in a single location. That means recruiters not only need to be experts in the skills and experience needed to construct the engine but also in the multiple geographical locations in which the engine is being built. In this client’s case, recruiters had to know where to procure talent in Indiana, Mississippi, Kentucky, Alabama and beyond. With the kind of subject matter expertise and geographical understanding recruiters need to fill these positions, it only made sense to bring in an RPO group with this kind of knowledge on hand. And of course, it only makes sense to go with Yoh as its in-house, white label supplier, who’s been recruiting and building networks in the aviation industry for decades. Initially covering about 30 percent of the client’s direct hires before moving up to nearly 100 percent, Yoh sourced, hired and on-boarded composite engineers, A&P mechanics, environmental health and safety experts, IT experts, facility managers, and more—everything that goes into the construction of an aircraft engine. And to make sure every hire is fully qualified, each Yoh recruiter, no matter his or her coverage area, is specially trained in all aspects of aviation hiring and regulation. Of course, hiring isn’t always full throttle. As with any company, there were times of turbulence when recruitment needs weren’t as high and hiring was halted. While it can be difficult to scale down when recruiters are full-time employees of the company, with an RPO program from Yoh, the client can easily scale up, scale down or transfer recruiters to another part of the business to maximize value by saving costs when needed and best use the resources Yoh provides. Much has changed over the course of Yoh’s relationship with the aviation leader. Since the client increased the percentage of hires Yoh controlled, hiring efficiency improved by more than 117 percent over 18 months, meaning more hires were being made with fewer Yoh resources. In turn, the client’s spend went down and return on investment went up. And when the company ran into trouble with a few talent suppliers in other areas, Yoh was brought in to help out. The expertise Yoh brings to every RPO relationship means clients get more than a talent supplier but a talent partner, one who embeds itself in the organization and works to identify and fix any pain points that come up, whether they’re a part of the RPO program or not. That extended partnership includes Yoh's exclusive support of the client's 1,200-person co-op and internship program—one of the largest such programs in the world. The team does all the sourcing, hiring, equipment ordering, orientation training, hiring manager coordination and more. The program excels not just at getting students into the program year after year but also turning many of those students into full-time hires once they graduate from college. While every Yoh RPO program is unique and tailored to each individual client, the service and expertise Yoh brings to everyone is identical. Whether it’s finding efficiencies at each step of the relationship, managing a worldwide aviation co-op program or whatever your company needs, Yoh’s custom RPO programs are designed to make recruitment more efficient, increase the quality of talent and do it all cost-effectively. As we showed here, Yoh can even do it on the fly.